Just in time for spring and summer, pastel cases from fashion phone case maker STIL are in full bloom. Available in Pantone’s colors of the year, warm pink Rose Quartz and cool blue Serenity, these cases are stylish and affordable way to dress up the flagship phones from Apple and Samsung. Pastels have long been the colors of spring and summer fashion. This year, the color experts at Pantone declared that pastels would be in season for all twelve months of 2016. This inspired the fashion designers turned phone case designers at STIL to create new cases that would act as the perfect palates for these shades. The Masquerade case provides stylish protection for the iPhone 6 and iPhone 6s, sheathing the phone in a durable dual-layer design. 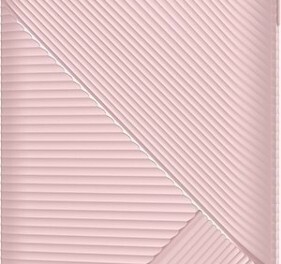 Spanning the back of the phone and wrapping around the front edges to protect the screen, is a layer of flexible thermoplastic polyurethane (TPU) in Soft Pink or Soft Blue. For those rebels who want a pastel color beyond Pantone’s recommendations, Light Green is also available. A second layer of metallic polycarbonate, textured for even greater grip, accents the TPU and protects against drops. For the Samsung Galaxy S7, STIL created the intricately sculptedStone Edge case. Raised ridges run across the entire case at opposing angles, creating four textured triangles across the back of the phone and around the sides. Like the Masquerade case, theStone Edge is made from slim but strong TPU. The matte finished case comes in the very 2016-esque Soft Pink and Sky Blue, as well as Pastel Green and Black. Technology has become a conspicuous part of our lives. But a smartphone is not a throw-away fashion accessory that you can replace every year. Colors change. Styles change. Trends shift. STIL has created the world’s most beautiful phone cases so that fashion minded people can keep every part of their ensembles up-to-date – right down to their smartphones. “Phone cases should let you update your phone’s style, not just protect it. We have set out to create the world’s most beautiful cases, adopting an inspiration-based design process from the fashion industry,” said STIL managing director Anni Kim. Both the Masquerade and Stone Edge cases, as well as STIL’s full line of fashionable phone cases for the iPhone 6/6s and Galaxy S7 are available on Amazon, starting at less than $20. For more information, visit STIL’s store on Amazon, or their runway-ready website.